School Tours - All Welcome! Please call our office to reserve your spot. School Tour - Tuesday, January 29 at 8:30 a.m.
School Tour - Wednesday, February 6 at 8:30 a.m.
Kindergarten Round-Up - Wednesday, February 13 from 11:15 a.m. - 12:30 p.m.
School Tour - Tuesday, February 19 at 12:15 p.m. 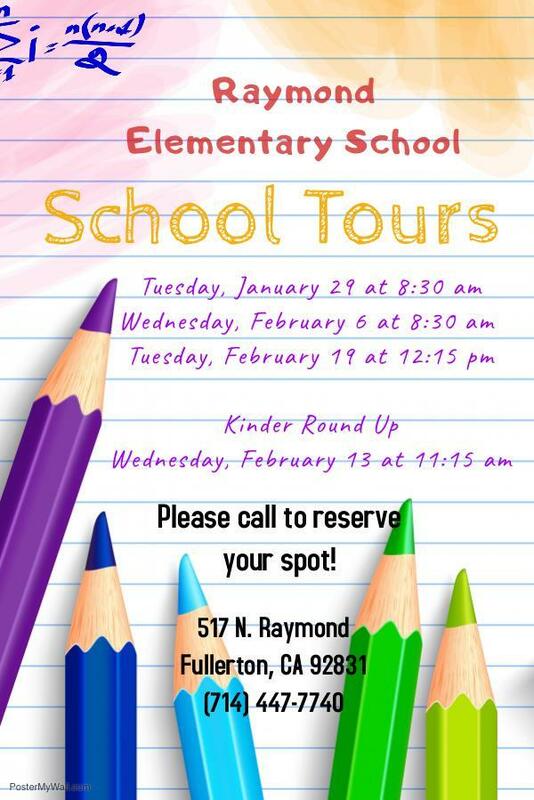 Please call to reserve your spot on a tour or Kinder Round-Up. 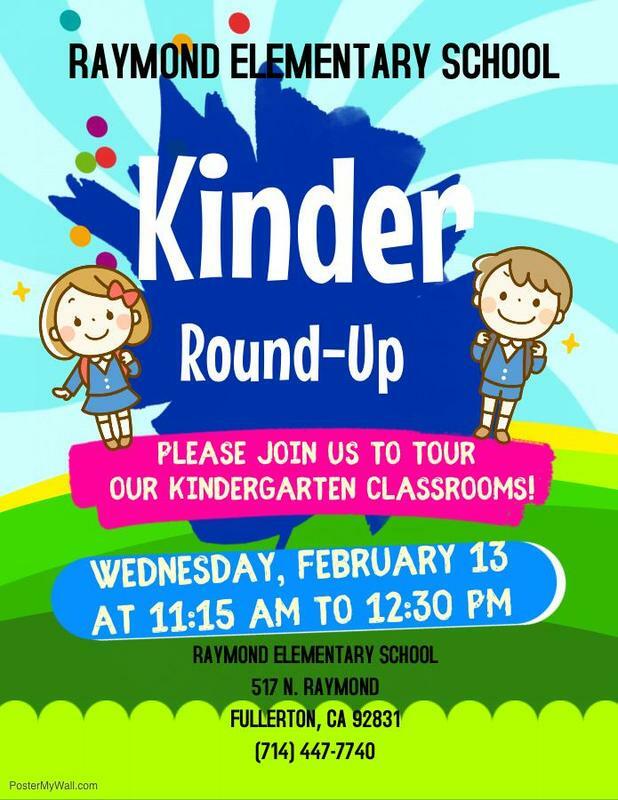 Raymond School Tours coming up… Principal McComb loves giving school tours to prospective parents for next school year. Raymond is proud to showcase our fabulous classrooms including Transitional Kindergarten thru Grade 6 English Only and our Spanish Dual Immersion Classrooms in Kinder, 1st, and 2nd. School tours will give an overview and show programs, grades and classrooms that parents are interested in seeing. At the Kindergarten Round-Up, Principal will take parents on a tour of all 3 Kindergarten classrooms and provide time to meet and speak to Kinder teachers.